Joy Lutheran, an LCMC congregation in Billings, MT will celebrate its third anniversary at a Christmas Eve candlelight service. We began our ministry with the Inerrant Word of God and the guidance of the Holy Spirit. Our Cross and Baptismal font were chiseled from old bridge planking. Green Hymnals were given to us from various congregations and we purchased With One Voice and several Lutheran Bibles. 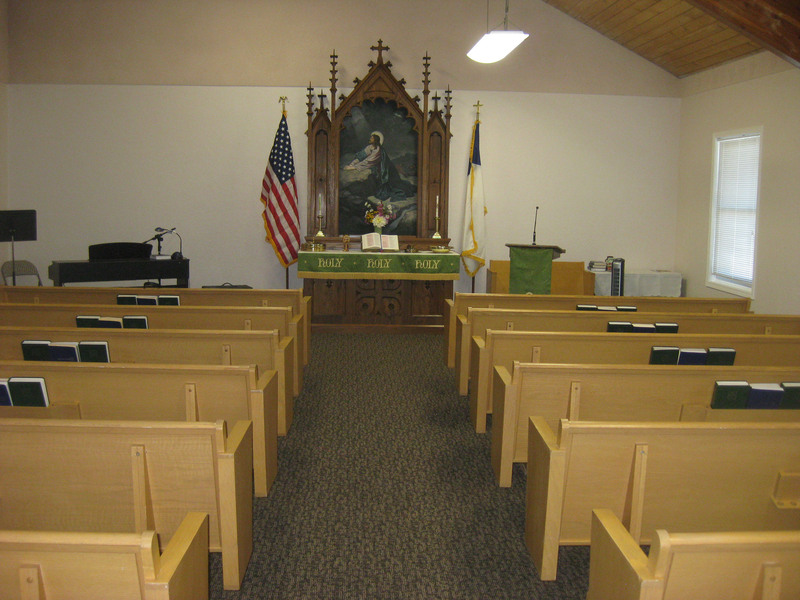 Recently we found seventeen pews on Craig’s List from Living Water United Methodist Church in Belgrade, MT. They generously gifted these pews to Joy. The generosity of a Montana rancher’s donation enabled Joy Lutheran to cover transportation expenses and incidentals for the pews and altar. 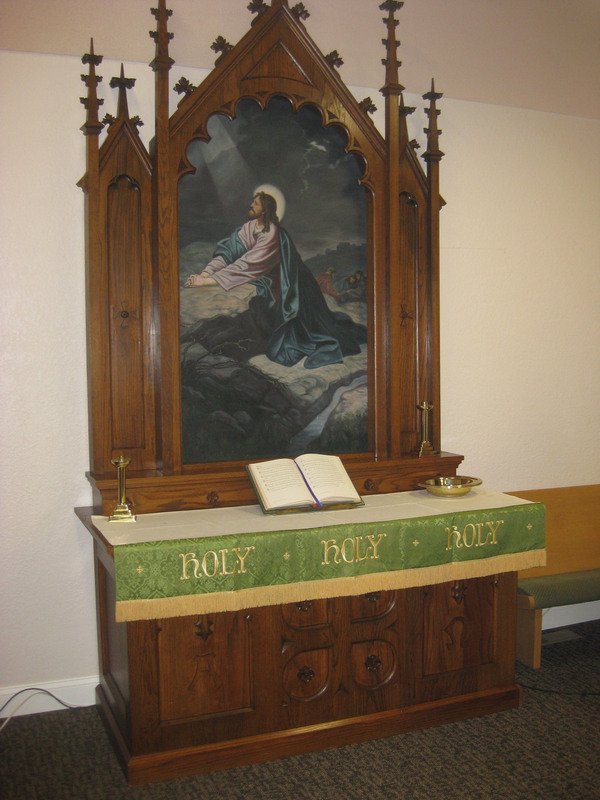 A dedication on Sunday September 14, 2014 for the pews and altar was followed by a traditional Lutheran potluck. Experiencing the fulfillment of our needs has been a blessing beyond words. We have offers of another gift; a key board/organ. God’s gracious ways may someday provide a communion rail, pulpit, hymn board and banners.